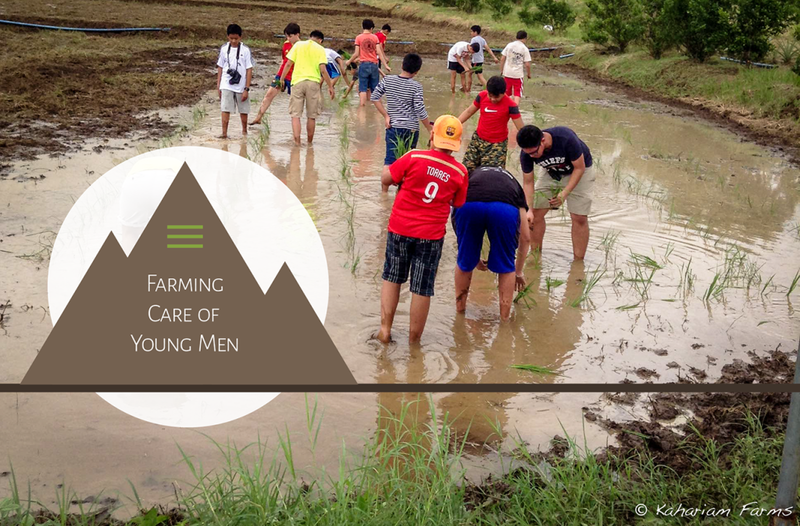 An exclusive school for boys, Southridge School Inc. of Alabang, Muntinlupa held their team building in Kahariam Realty and Farms last December 15-17, 2014. With over 82 parrticipants from Grade 7, their weekend retreat was filled with vast learnings of organic agricultural topics such as vermicomposting, organic vegetable production, different kinds of farm insects, and how to plant rice in the Kahariam Farms rice field. They started their day with the organic farm tour, where they learned of Kahariam Farms’ primary service, Vermiculture (Production of Earthworms) and Vermicomposting (Production of Fertilizer)which is currently the largest earthworm farm in the Philippines. The organic farm tour also showed the student of Southridge the 9 vermicompost green sheds where Kahariam produces Vermicast, the tilapia and hito pond, the vegetable maze and the rice fields. All students enjoyed the farm tour especially that they can actually interact with the chickens, plant vegetable seeds, hold the earthworms at the vermicasting sheds, and plant rice. Through these interactive activities the students were able to learn about agriculture in a deper experiential manner and left the farm with a new found respect for it. Students said that they learned how hard it is for farmers to produce the food that the capital city needs and now apperciates it more. They also learned the importance of being an environmental advocate in such a young age. After the tour, they proceeded with their teambuilding program in our gymnasium and other facilities at the farm till the evening. Aside from Kahariam Farms, the Southridge students used Kahariam as a hub to explore the different places around Cavite and Batangas.